Using this data, we can compare homes we audit with averages to determine how far from the average a home might be and make recommendations accordingly. In addition, we can use this data for some much more. For example, look at the chart below. 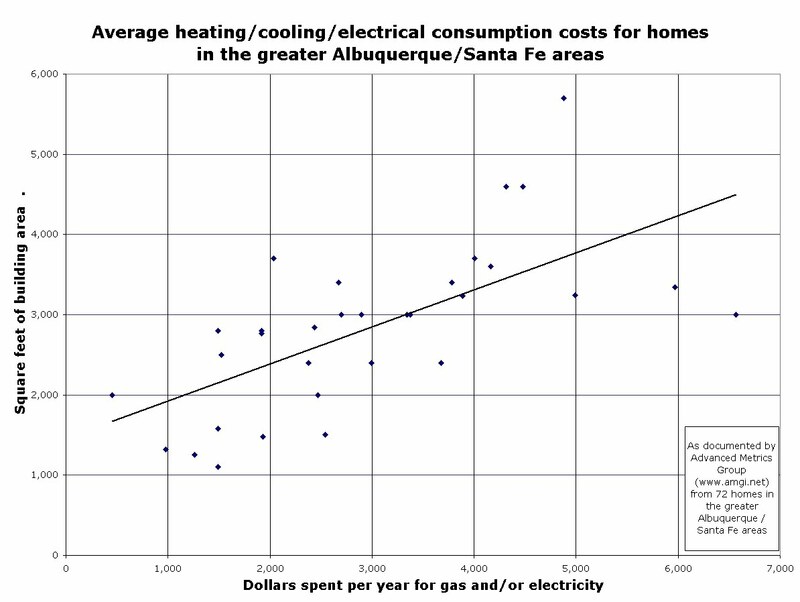 Add up all of your utilities (gas and/or electric) for the past year and plot that on the graph, intersecting with the square footage of your home. The solid line indicates the averages based on these parameters. If your intersection is not close to the line, you can most likely benefit from an energy audit.